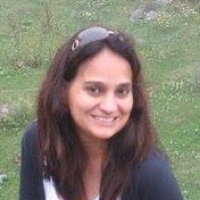 Deepa Sethy started teaching Mathematics in a small garage in 2004. She is a very passionate professional which eventually led her to become a very successful owner of coaching classes. Now, she teaches an entire classroom of students. Teaching and learning are casually tightly bound activities, so questioning, "What is learning? ", might lead us to have a closer look at what precisely are the components of teaching and their underlying principles. This observation can help make learning more efficient. "I started my career in a computer start-up company, where I led a development team to setup Web portals. Later I moved on to teaching Mathematics."